Could this be a case of kleptomania or just greed? Saheed Ganiyu has been on bail granted by an Osogbo magistrate court sitting in Osun State, on a pending case of alleged theft. While on bail, one would expect him to be of best behavior, but he seems unable to stay away from crime. He was re-arrested for breaking into the home of a certain Abosede Fayemi on Saturday, November 11, in Agunbelewo, at around 2am. 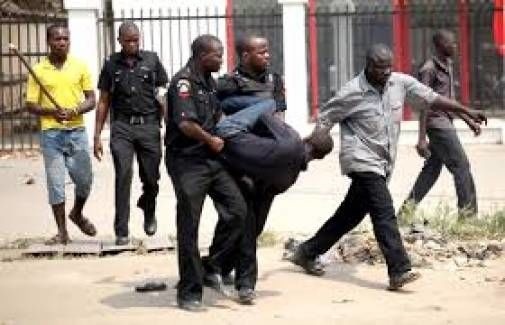 The accused allegedly stole a laptop, one iPhone, a BlackBerry phone, an Itel phone, jewelries, ATM card and N50,000 cash. He has also been charged with attempting to escape from lawful custody on the same day, after his arrest by the police. The 32-year old man has been re-arraigned before the same court over another case of stealing. Prosecutor, Fagboyinbo Abiodun, said that the offences are contrary to and punishable under sections 411 (1) (2), and 390(9) of the criminal code cap 34.. Vol. II laws of Osun State, Nigeria 2003. The accused person however, pleaded not guilty to the four-count charge levelled against him. Counsel to the accused, Mr.Okobe Najite, prayed the court to grant the accused person bail in the most lenient terms. In her ruling, Magistrate Fatima Sodomade, granted the accused of N200, 000 bail with one surety in the like sum and adjourned the case till December 11 for hearing.